Are you working hard on a weight loss plan, but the scale’s just not moving? 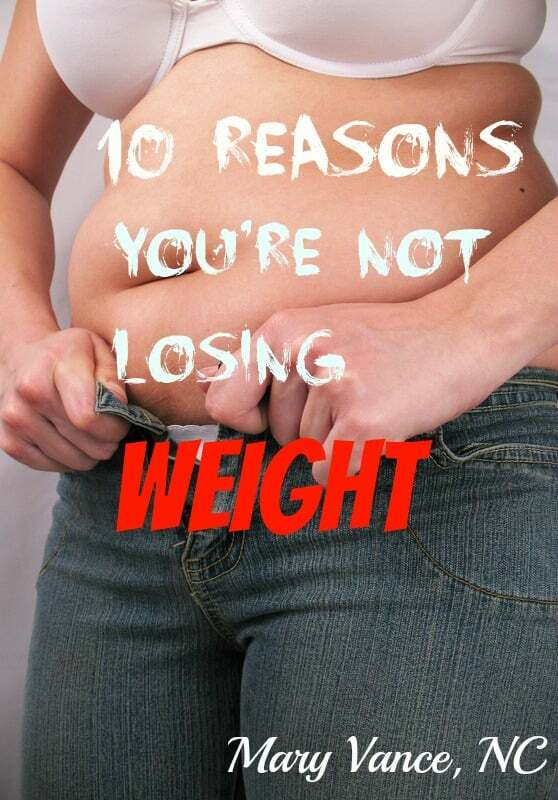 There are several reasons why you’re not dropping the lbs. I hear frustrated folks lamenting about how they’re eating perfectly and doing everything by the book, but nothing’s working. What gives? This is kind of a duh, but hear me out. If you’re eating clean and sticking to your plan during the week, and you feel you deserve to let your hair down on the weekend, the partying could sabotage your efforts. Maybe this means you do a one day “eat everything I want,” or you go on a weekend warrior drinking binge, or you just say screw it, I’ve been so good this week that I’m going to do a little cheating here and there and get back on track on Monday. Sound familiar? While I’m in no way saying you can’t enjoy treats every now and again, if you’re in the middle of a program, stick to your program. Cheating on the weekends can mean big trouble for some people because if one is sensitive to gluten & dairy and decides to indulge in these foods, even for a day or two, the resulting inflammation can cause bloating and weight GAIN, not to mention prevent weight loss. It can take several days for that inflammation to subside. Booze calories really add up, too: it’s basically excess sugar, and the toxins cause inflammation and stress the liver. The insulin surges make you hungry and put you in fat storage mode. My point is not that you can never have these foods again or that you should deny yourself– that alone can lead to binge behavior. But don’t sabotage your plan with frequent cheat days, and you may need to be as strict as possible for, say 21 – 30 days to rewire your cravings. I’m all for the 80-20 rule, but stay on track as much as possible in the beginning. Remember, there are always more healthful alternatives to whatever it is you’re craving. Want pizza? Try almond meal crust with dairy free pesto and roasted veggies. Craving chocolate? Have a few bites of my fave chocolate superfood. Want brownies or baked goods? Swap out white flour for almond meal and coconut flour and refined sugar for xylitol. Do some googling and research how to adapt your favorite recipes. 2. You’re drinking diet sodas and eating sugar free crap. If you’re drinking diet sodas, STOP IT. The chemicals are toxic, and sugar free foods/drinks that contain aspartame can actually contribute to weight gain. Click here to read my post about it. 3. You’re eating “health” foods like whole grains. If you swapped out your Special K for Kashi or cut the bacon for oatmeal, understand that whole grains can prevent weight loss in some people. Fat doesn’t make you fat! Processed grains contribute to inflammation and break down as sugars. Click here to read how grains contribute to weight gain. 4. You’re eating low fat. We all know fat doesn’t make you fat. Sugar does. Refined carbs do (processed grains, white flour). Stop counting fat grams, and don’t eat anything that’s marketed as low fat. (You should be avoiding packaged foods anyway!) You need fat for satiety. Foods that have been artificially stripped of their fats are not whole foods. 5. You’re focusing on diet only and not lifestyle factors. Are you sleeping 8 hours? (Lack of sleep prevents weight loss). Are you addressing your stress level? Sure, we all have stress, but chronically high cortisol prevents fat loss. If you’re working 12 hours a day and are overweight and unhappy, make some changes. If you’re stuck in a toxic relationship, how can you remove yourself from the situation? Include emotional wellbeing, stress reduction, sleep, and exercise in your weight loss plan, too. 6. You’re eating too much–even if the right foods. A common mistake I see weight loss clients make is loading up on the meat and fat instead of focusing on plant-based meals. We all know that meat & fat (the right kinds) aren’t intrinsic causes of weight gain and provide much-needed protein and nutrients, but if you eat too many calorie-dense foods, you won’t lose weight. Are you overeating because you’re always hungry? Why is that? Either your insulin or leptin levels are off, or you’re waiting too long to eat between meals, or you’re not building your meals properly. Try to wait until you’re hungry to eat. Many people (especially those with damaged metabolisms) can’t read their hunger cues or eat because they think they should. I always say to eat in regular intervals (if you have a healthy metabolism so you can maintain stable blood sugar), but if you’re not hungry, don’t eat until you are. 7. You’re lying to yourself and forgetting about the handfuls of this and that you’re grabbing throughout the day. Are you food journaling? Several studies show that those who log what they’re eating lose more weight– about twice as much, actually. It really is helpful to write down every single thing you eat during the day if you want to shed pounds. Why? Because those handfuls of this and that you’re mindlessly noshing during the day add up. This is especially true of nuts, the dieter’s darling food. Sure nuts are great, but who can stop at just 1/4 cup? Don’t overdo the nuts. They’re very calorie dense. 8. You’re exercising too little– or too much. You have to get moving to lose weight. Start slowly with a 20 minute walk every day. You can make time for it. I share tons of quick at-home workouts on my pinterest exercise board. On the other hand, are you exercising too much? Your body perceives overtraining as a stress. I can’t tell you how many people have come to me during their marathon training complaining of weight gain. “I’m training for a marathon. How can I be gaining weight?” Stress = high cortisol = fat storage. Of course, you have to get moving, but there’s a sweet spot. Do 20 minutes of burst training and 20 minutes of weights or yoga on the off days. I don’t believe in snacking. If you need to eat between meals, you’re not designing your meals properly. If you’re hypoglycemic, that’s a different story, and you may need more frequent meals until you heal. But eating 3 meals and 2 snacks daily is unnecessary. 2 snacks usually means 400-500 extra calories(!) You may need a small snack mid-afternoon if lunch is at noon and dinner is at 7, but grazing throughout the day adds up. 10. There’s an underlying metabolic issue such as adrenal fatigue (high or low cortisol), hypothyroidism, a digestive issue (bloating, heartburn, yeast infections signal GI issues), or liver congestion/toxicity. You have to be in a healthy, stress-free state for your body to shed weight. Interesting article. Some of your points are making me think! What an amazing article THANKS SO MUCH!. By far one of the best and on point articles about weight loss I’ve read. Awesome… I have shared with friends and family, and will make the changes accordingly. Why do soooooo many ppl on weight plans say to eat every 3hrs, 3meals n 2snacks but ur saying no snacks.. Ys ur reason shud u drink water n just keep waiting til next meal? Thank you for the kudos! I’m glad you found the article informative. Hope it helps you reach your goals! No one strategy works for everyone. The 3 meals and 2 snacks is a formulaic approach and can be too much food for some people. Others who struggle with hypoglycemia might fare well on 5 small meals. But in general, for a healthy person trying to lose weight, 3 well designed meals is sufficient. I liked this article, straight forward, information led, not too judgy and with solutions rather than problems! It sort of grouped together everything I sort of know and need to do in order to get this show back on the road! I strongly disagree with the snacks (5 meals) contributing to weight gain. The point is to make the three main meals not quite so large and the snacks aren’t supposed to be 400-500 calories. Eating more frequently won’t cause a weight gain especially if the number of caloric intake is still the same over the course of the day. Eating every 3 hours smaller meals/snacks consisting of protein and complex carb will help contribute to a healthy metabolism too. These are guidelines. There is never a one size fits all approach with nutrition since everyone is so biochemically different. And the calories-in calories-out method is pretty flawed. For some folks, eating every 3 hours keeps insulin levels up which contributes to fat storage. Other people, especially if they are healing hypoglycemia, need to eat every 3 hours to keep blood sugar stable. I avoid low fat, sugar-free, and diet foods because the stuff they put in there to make them “healthier” is a lot worse for you than anything you can eat in the real version. Aspartame is the reason I haven’t chewed gum in months! It’s also the reason that I would never even consider drinking diet soda. I have a hard time not lecturing complete strangers in the store when I see them pushing around a cart of diet soda. One point I’d bring up though is that it is also possible to not lose weight because you aren’t eating ENOUGH food. Not eating enough food can put your body into starvation mode, so it may LOOK like you are losing weight at first but really that’s just your body burning your muscles while it conserves fat in order to keep you alive. In the long run that does a lot more harm than good.